Meet Returning Stagebound Participant, Sam Lynagh! Sam Lynagh is a rising sophomore at Berklee College of Music in Boston. She is a scholarship student majoring in Songwriting with a focus in Voice. She has been affiliated with the National YoungArts Foundation since age 15, where she was recognized as a winner in the Popular Voice Category for four consecutive years. She has also been playing guitar and piano for 9 and 4 years respectively. Besides music, Sam enjoys reading, working as a waitress, and watching Last Week Tonight with John Oliver. Her dreams include winning a Grammy for Song of the Year and traveling to Ireland. Meet New Stagebound Participant, Saniya Parks! Saniya Parks is a rising 10th grader from Naperville, IL. Although she is shy, she has never shied away from the stage. Up until her freshman year of high school, she focused more on training and competing in multiple styles of dance, including lyrical, contemporary, jazz, and hip hop. She has performed in several productions with Fairlady Productions: Into the Woods, Peter Pan, Bugsy Malone, and many more. Throughout middle school, she participated in honors choir, performed in Illinois All-State ILMEA auditioned choir and was cast in the production of The Little Mermaid. In high school, Saniya participates in the highly competitive show choir, which performs a set of six or more songs set to a theme, along with intense dancing. Her school, Waubonsie Valley, is a Grammy award winning gold signature school and has a spectacular theater program. She recently became a member of the highly selective Soundcheck Show choir. She also participated in the equally competitive unisex Girls in Heels her freshman year. She made it into her school's production of the musical Curtains. Saniya is excited to continue expanding her horizons as she joins Stagebound for the first time this year. Meet New Stagebound Participant, Thomas Greene! Thomas Greene is a rising senior in high school. He has been involved in the fine arts since age nine and plans to study musical theatre in college. Some of his recent credits: include performing as a soloist for a Relay For Life Benefit Gala, Sweeney Todd (ensemble), A Midsummer Night's Dream (Flute), and Beauty and the Beast (Lumiere). Thomas is elated to be participating in Stagebound for the first time and can’t wait to see what this week will hold. Meet Returning Stagebound Participant, Sarah "Blingy" Adams! Sarah Kathleen Adams, UNC Chapel Hill class of 2017, is from Greenville, SC, with dual majors in Music and Communication Studies. She discovered a passion for singing as a child and began her classical vocal training while attending Greenville’s Fine Arts Center in August of 2011. Her desire to develop her talent and pursue a career in music quickly grew. Ms. Adams has been honored to perform in some of the finest concert venues including Steinway Hall and Opera America in New York and the Kennedy Center in Washington, DC. In 2012, she was selected as one of the top ten classical singers in the nation to perform in Miami Beach, Florida, for a week as a part of the National YoungArts competition. After YoungArts, she was selected as the top high school soprano in the United States and was honored with a gold Presidential medal and performed at The Kennedy Center in Washington D.C. This past year, Ms. Adams was awarded as one of four students from UNC to receive a fellowship where she was enabled to create her own curriculum of study during the summer. As a part of her studies, she has elected to study vocal performance and participate in Stagebound for a fifth, consecutive year. With the generous support of the Burch Fellowship, Ms. Adams intends to study in New York City for four and half weeks to study the most difficult roles in all of soprano repertoire alongside her mentor and well-renowned opera singer and teacher, Karen Parks. As New York City is one of the biggest performance hubs in the United States, Ms. Adams will use this opportunity to make connections between rehearsals and performances. During this fellowship, she will also study the therapeutic benefits of music while singing at hospitals and nursing homes in and around the city. With the help of the Burch Fellowship, she will be able to study intensively in her craft before launching her professional career as a vocalist and also share her gift with people in need and experience the healing powers of music. Ms. Adams would like to thank Mr. Burch for the opportunity to follow her dreams and make this possible. Meet New Stagebound Participant, Tess Richie! Meet Stagebound's First-Ever Intern, Emma McSharry! Emma McSharry is a rising senior in high school. Her love for theatre began onstage, though she has now developed a deep appreciation for what goes on behind the curtains. Emma is a dedicated stage manager, tech person, and student director in Upstate South Carolina. Some of her recent credits include stage managing The Fantasticks at The Market Theatre and directing a Spring Benefit Gala at Cox Hall. She hopes to study stage management or direction after graduation. Emma is honored to be the first ever Intern for Stagebound Vocal Intensive and is delighted for this opportunity! 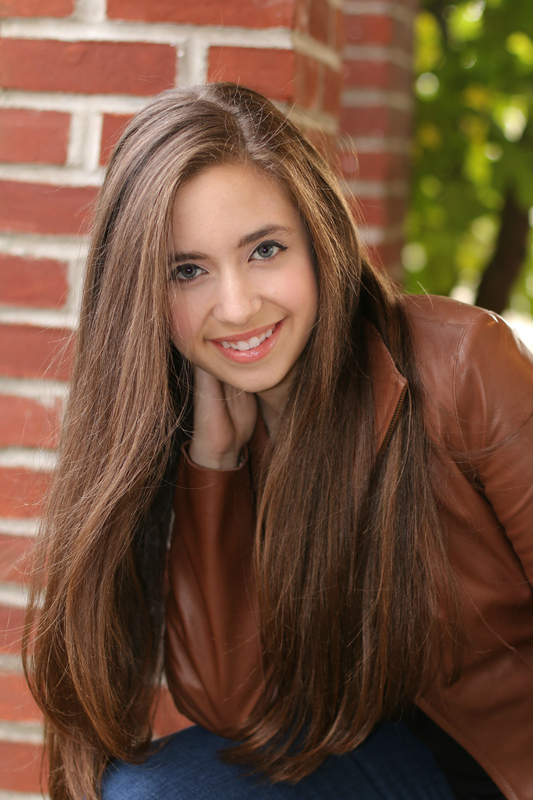 Meet returning Stagebound participant, Sarah Fernandez! Hello all! It's getting close to our annual summer vocal intensive and we couldn't be more excited! As always, we'll take the time to introduce you to this year's participants and give some insight into the happenings around Stagebound. Today, we wanted to share with you some exciting information about one of our former participants (who we are happy to say will return again this summer), Sarah Anne Fernandez! Angela Marie Pardini is a rising sophomore at NYU's Tisch School of the Arts, New Studio on Broadway studying Musical Theatre. She has had a passion for singing, dancing and acting since age 7 and has followed her dream from the stellar acoustics in her California bathroom shower to performing live at the National Opera Center in New York! Favorite San Francisco Bay Area theater credits include: Aladdin (Jasmine), Once on this Island (Ti Moune), Grease (Sandy), RENT (Maureen u/s, ensemble) and Avenue Q (Bad Idea Bear). She is ecstatic to be continuing her vocal training this summer with everyone at the 2015 Stagebound Summer Intensive! Sarah Fernandez is entering her second year at NYU Tisch School of Arts, where she studies Musical Theatre in The New Studio on Broadway. Regional Theatre Credits Include: Kiss Me, Kate (Lilli Vanessi), How to Succeed in Business Without Really Trying (Rosemary Pilkington), Grease (Sandy), and Fiddler on the Roof (Hodel). Sarah spent the past summer performing as a featured soloist at NYC's cabaret club, The Metropolitan Room, and will be performing in another two shows this summer. In the summer of 2013, Sarah had the honor of performing the iconic duet, "All I Ask of You," with former Broadway Phantom of the Opera, Ciaran Sheehan, at a Gala to Benefit the Postpartum Resource Center of New York. Alongside performance Sarah also enjoys writing and composing music, and is currently working on two original musicals that she hopes to share with the NYU Tisch community and maybe even the Broadway community in the future. Sarah is thrilled to be a part of the 2015 Stagebound Intensive and cannot wait to work with the incredible faculty and students! Torie Wilson is a rising 8th grader at Artios Academies in Greenville, South Carolina and is very grateful to be part of the Stagebound Intensive Program this Summer. Her past roles include Belle in Beauty and The Beast, Jr., Beverly in the Best Christmas Pageant Ever as well as some extra roles in several feature films and television pilots. Her other accomplishments include third place CITA Regional Duo Musical Theatre. In her free time, she loves to play piano, write music, ride her bike, play golf, hang out with friends and travel. Meg Spearman is a rising senior in high school. At age 13, she fell in love with Musical Theater when she had the opportunity to perform in a school production of “Les Miserables” as Eponine. She plans to study Musical Theater or Vocal Performance in college. Meg enjoys performing whenever she has the opportunity. She helps lead worship at Clemson United Methodist Church and frequently performs at local coffee shops and nursing homes. In addition to taking private voice lessons with Karen Parks, Meg feels extremely privileged to be attending the Stagebound Summer Vocal Intensive for the third time. Sarah "Blingy" Adams is a rising junior at UNC Chapel Hill. She had a passion for singing as a child and began her classical vocal training while attending Greenville, South Carolina’s Fine Arts Center in August of 2011. Her desire to develop her talent and pursue a career in music quickly grew. Ms. Adams has been honored to perform in some of the finest concert venues such as Steinway Hall in New York City. In 2012, she was selected as one of the top ten classical singers in the US to perform in Miami, Florida for a week as a part of the National YoungArts competition. After YoungArts, she was selected as the top high school soprano in the United States and was honored with a gold Presidential medal and a performance at The Kennedy Center in Washington D.C. Ms. Adams considers these to be some of her greatest accomplishments thus far and looks forward to what the future holds. Garrison Christian is a rising Senior in High School. Among other roles in Musical theater, he was a Fagan Boy in Oliver and Gideon in Seven Brides for Seven Brothers. His other accomplishments include first place CITA regional winner in Duo Musical Theater. He was also first and second place CITA winner in Musical Theater Dance Ensemble. Garrison is currently in a core drum line and enjoys composing music. His recent accomplishment was composing several musical scores for a full-length film production. Garrison is thrilled to be a first time attendee to Stagebound and looking forward to all the great things he will learn. Meet Skyler S. La Nier! Skyler S. La Nier from Queens, New York is a classical singer with roots in R&B. In 2010 and 2012, while in high school, Skyler performed in Carnegie Hall along with neighboring high schools in New York City. In 2010, he performed an original composition which he helped write titled "Are We Closer?" and in 2012, a solo in Carl Orff's "Carmina Burana". In 2013, Skyler was a finalist in the competition held by National YoungArts Foundation where he performed for music great Placido Domingo. Skyler has been a member of the Stagebound intensive, hosted by Karen Parks, for the last three years. Grace Stewart is entering the sixth grade at Calvary Episcopal Preparatory in Richmond, Texas. She has enjoyed performances under the direction of Paula “Cookie” Smith in Seussical the Musical Jr. (Bird Girl) and Alice in Wonderland Jr. (Middle Alice). She dances with the Keller Academy of Performing Arts in Fulshear, TX and enjoys swimming year round with Katy Aquatics. She is very excited about attending Stagebound Summer Intensive and is looking forward to this great opportunity. Frankie González is entering his third year at NYU Tisch School of the Arts, where he studies at the New Studio on Broadway for Musical Theatre. New York Theatre credits include: The Rise of David Levinsky (Shlankie) at the Symphony Space and Vassar Powerhouse’s Blood Wedding (Moon). NYU Credits include: Songs for a New World, The Secret Garden, and A Midsummer Night’s Dream. He also participated in New York Stage and Film’s workshop of the screenplay, Sensational & Inappropriate. Miami regional credits include: Within Reach (Performer/Co-Creator/Producer), Joseph…Dreamcoat (Joseph), Into the Woods (Jack). He could not be more excited to be a part of the 2015 Stagebound Summer Intensive! Elyse Barnett is an incoming College Freshman. Among other roles, Elyse has portrayed “Mary Jo” in Piece of My Heart, “Kate” in Exit the Body, was in the Georgia All-State Musical Theater Production, and a soloist in LaGrange High School's Spring Musical Theater Showcase for four years running. Additional work in theater includes Set Design and Musical Directing for Times Square Angel. Elyse's recent work includes creating and directing a one-woman Cabaret performance. She also completed the Pre-college Program at NYU Tisch School of the Arts, New Studio on Broadway last summer. Along with voice and music theory, Elyse is talented at playing the guitar. She enjoys participating in artistic endeavors in her community. While attending high school she received the AP Art Award and assisted with major set design and music directing for the theater.